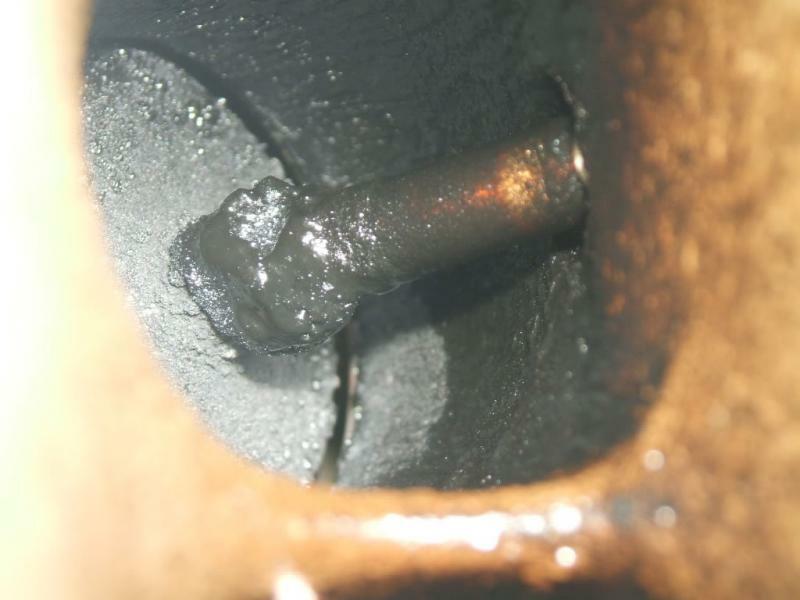 On another forum I frequently visit, people with ~2005-2007 Mazdaspeed6 2.3L engines, direct injected + turbo, were getting excessive tar like coating in the intake manifold, and a nasty carbon build-up on the back of the intake valves ... in only 25K-35K miles. 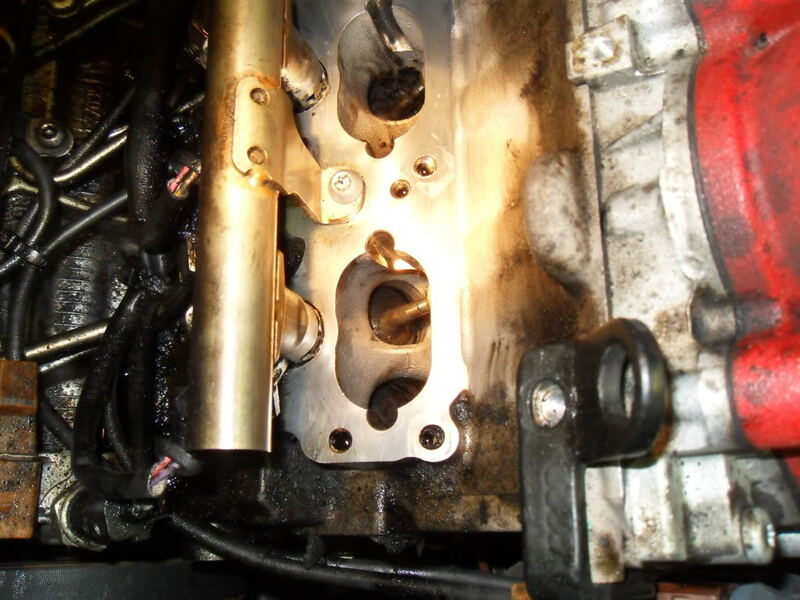 Back then we found that with DI, gas additives (both in gas and added to it) would not keep the head end of the intake manifold clean, and the back of the intake valve clean, as happens with port injected engines. The cause was mixing CCV oily vapors and EGR gases in the intake manifold. The main part of the fix we came up with was adding an "oil catch can" to the CCV line going into the manifold. The can had to be emptied once in a while. The dry egr gases were less likely to build up on the back of the intake valves. Hyundi has a 100K mile warrenty on their direct injected engines, including Turbos as I recall. Has Mercedes done anything to take care of this issue with their new direct injected C350 and C250 engines? Last edited by kevink2; 01-13-2012 at 11:12 AM. Indeed - See Porsche DI inlet at low mileage in the US. Benz have very good oil control being accustomed to building diesels. However it was their intention to fit a detergent injection system to all DI petrol vehicles that would be topped up at services. I don't know what happened in this regard. EDIT: the problem is exacerbated in poor fuel areas like SA, US etc. Last edited by Glyn M Ruck; 01-13-2012 at 12:33 PM. Yes, new Benz owners better start thinking about this... (GO TO THIS ARTICLE on MBWorld Link: https://mbworld.org/forums/glk-class...99192-stp.html )... unless of course they have incorporated a fix, like VW recently did. VW abandoned their current DI set up in favor of a dual injector system, one injector inside the cylinder (DI), and the other in the port to help clean up the intake valves. This is VAG's (VW) New Dual Injection D.I. EA888 engine design (combats carbon build-up) for their next generation of cars, including Audi's! Last edited by MBRedux; 01-13-2012 at 06:38 PM. VW, Audi and BMW owners have several class action lawsuits still pending! Contact Mercedes CC and demand an answer. Ask if these new DI Mercedes engines have solved the carbon build-up issue? They owe you an answer. Gas type is not the problem. See vw pic above for a DI system that should prevent this. Don't know what MB did/did-not do. Another vid of Mazda6 problem. Effect could be made worse by turbo with some exh gas leak by the seal outboard of Turbine shaft bearing. This is not a panic thing, still don't know the Mercedes approach to stop this. Gas type is not the problem. See vw pic above for a DI system that should prevent this. Wouldn't (couldn't?) a gas that burns "cleaner" help? From what I've read on the Mini forums it sounded like the problem was more prevalent when using cheaper gas. Don't know if cheaper means less octane or just a known poor-quality vendor. It would seem that more carbon in the burnt fuel would cause this buildup to happen at a faster rate. I have not had a good look at the new DI Merc engines. Just prior to retirement from a certain oilco we ran a test program with Benz on pre production DI engines with a detergent injector in the inlet system with our product & proved we could keep the inlet spotless with top up of the detergent tank only required at standard service intervals. If they did not implement it I presume it was an on-cost issue. That Porsche Cayenne pic above was below 20K miles. I'm well aware of the other VW/Audi problems. We warned them. They did not listen. As I said above - the problem is exacerbated in poor fuel areas like SA, US etc. Euro 4 & 5 gas helps somewhat. Deposits in the inlet tract are mainly captive breather related, somewhat effected by gas quality. Back of valve tulip is breather, gasoline & VI improver (polymer) burn-on from oil down the guide. Remember with valve overlap on these engines you get some combustion blow back onto inlet valves & minor ring blow-by effects oil charge which effects crap in captive breather vapours. What is absolutely true is that is that additised fuel can't help where it can't get prior to combustion. 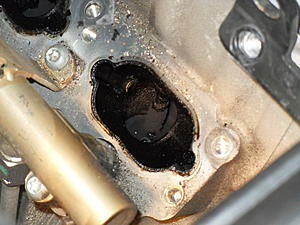 The carbon build-up on the intake valves is the problem. "Cleaner burning fuels" only benefit the combustion chamber by leaving very little deposits on the piston crown (top of piston) spark plugs as well as on the cylinder head inner surface. "Cleaner burning fuels" also help reduce acidic gases from forming inside the crankcase from blow-by... thus less contaminating to the oil, therefore less corrosive and improving the PCV system overall. In a Multipoint or Port Injected car, these detergent fuels spray directly onto the valves first before it enters the cylinder, thus cleaning them off... like a good morning shower. These detergent fuels physically clean the valves and the port chamber as you drive around because they are formulated to do so. But in Direct Injected (DI) engines (now seen in newer 2012 Mercedes cars) that have been used for some time in VW, Audi's, BMW's etc etc, the fuel never touches the intake valves. The injector is not in each of the ports, but inside each cylinder, hence the name *Direct Injected*. DI designs provide higher fuel milage and greater hp output, but NO CLEANING effect of the valves. There is no cleaning benefit on DI cars to the port & intake valves by detergent gasoline blends. So you can buy the very best gasoline on the market, drive at highway speeds all the time, it won't make a difference. Only VW/Audi have successfully designed a new dual injector system (as seen in the drawing above) that helps eliminate the carbon build-up problem. Last edited by MBRedux; 01-13-2012 at 11:15 PM. Duh...Despite reading intake valve over and over, my mind kept thinking exhaust valves...hence why I kept thinking less carbon desposits from combustion would be less leaving through the exhaust valves. My brain is now back on track (well...moreso than a few moments ago.) Thanks. I'm not going to start an argument here. Our labs have been analysing inlet system deposits & their sources for years & this includes recent DI engines. Inlet deposits on DI engines are reduced somewhat running Euro 4 & 5 fuels but obviously only to the degree that they contribute due to breathers, egr systems & some blowback. e.g. a healthy engine does not achieve 100% ring seal or you would seldom require an oil change. Anything that gets into the combustion chamber gets into the sump oil past the rings. This would include dirt. Poor air filtration is immediately noticed by a rise in the silica levels in the sump oil. What gets into the sump oil gets back into the inlet via captive breathers. Cleaner exhausts = cleaner egr systems etc. Benz has designed a system that keeps inlet systems clean. It appears that they have chosen not to fit it at present. I will try to find the reasoning & report. EDIT: It should also be remembered that Benz launched the CGI direct injection petrol engines in the W203 in 2003 in Europe for Europe only. A few got to Australia I believe. They had no issues on Euro fuel with the C200 CGI etc. They have been at DI for a long while. The largest single contributor to hard & substantial inlet valve tulip deposits is VI Improver (Viscosity modifiers US) from multigrade engine oils. Fortunately 229.5 approved synthetic engine oils demanded by Benz use very high VI base oils requiring the addition of less VI improver to the formulation to meet desired viscometrics. Last edited by Glyn M Ruck; 01-13-2012 at 05:23 PM. Thanks for these information and please keep us updated on this issue. Our Mobil-1 rep has exhaustively explained the benefits of their superior blended syn oils. It's well known among tuners that Mobil's SuperSyn PAOs were developed to extend the range of conventional high viscosity PAOs and maintain excellent low temperature fluidity. These Mobil SuperSyn PAOs are a class of high viscosity, a high Viscosity Index of (VI) as a matter of fact, that are polyalphaolefins manufactured by Mobil Chemical using patented, proprietary technology. Yes these blends will help reduce carbon formation, especially in high volume chambers that can increase valve guide leakage. Yes, MB had GDI engines that date back to 1955 (300SL) where they simply replaced the spark plugs (that were located in the cylinders) with a fuel injector, and moving the spark plugs to the head. These engines were wonderfully powerful for their time, but did require a C&V job more often, as all cars of the era required for various other reasons. New modern DI engines face a whole range of different issues too long to elaborate here. But I would like to know if MBenz has done anything to help reduce the risks seen in their competitors DI engines? Last edited by MBRedux; 01-13-2012 at 06:46 PM. I will talk to our European Tech Centre in Ghent Belgium next week & find out what the latest Benz thinking is. There was no problem in the 2003 onward CGI version of the M271 as an example. It was managed with good valve guide oil control & breather design. Now we have the M271 Evo turbo version of the same engine so I doubt there will be problems there. To me the unknown is the new 60 deg V6 family of engines. They originally intended the on board detergent tank & injection for these. So either they have been dumb or they have designed around the problem. I will endeavour to find out. I am well aware of the potential issues with modern DI engines. Looking after & working with the OEM's was part of my job for many years. Where VW/Audi/Porsche screwed up was launching an engine range into the market that they knew had to give trouble. They had done enough on road testing to find out & had been warned by the petroleum industry as had others. If Benz has also screwed up with the new V6's knowing the potential problems, having designed & tested at least one path around the problem I will be disgusted. Anyway before jumping to conclusions let me try & find out. If I had not retired from my global job I would have the answer at my finger tips. People - please don't go running after a problem that we don't know exists with Benz. Last edited by Glyn M Ruck; 01-13-2012 at 09:53 PM. There was some talk a while back that the Benz DI engines would include a canister of cleaner that was misted into the intake rail to help break up unseparated oil from the recirc gases - I guess that never materialized. How good is the oil separator unit on these new Benz DI engines? How soon before someone comes out with a simple after market catch can to add to these engines? In any case, I would use Shell gasoline only in the US if I had a car with one of these new DI engines - its generally regarded as the best gas you can get in the US. As he stated, Glyn is looking into it. He will let us know if indeed they incorporated some kind of *fix* to address this issue. So until then, please let's all be patient. As far as a "Catch Can" being the solution, sadly they're not. Side by side studies have proven (and the manufacturers of these devices have not disputed) that Catch-Cans are of little benefit, if at all in this regard. In fact, on other forum sites (Audizine etc.) where disgruntled owners installed catch-cans within two weeks of buying their brand new DI cars, they discovered that even though they emptied pints of slightly oiled water from their cars, (90% water, 10% oil) they still suffered from severe intake carbon build-up after just 20K miles because the main culprits, leaking valve stem seals and inefficient EGR systems are not addressed by Catch-Cans. As a result of their tests, many Catch-Can buyers have now asked for complete refunds, claiming fraud to no avail because of what it says in the fine print from the manufacturer...That the installation of our Catch-Can "may help reduce carbon build up", not eliminate it! Actually the tests by these owners showed the contrary, the carbon was as bad as if the Catch-Can wasn't there, therefore Catch-Cans are a complete waste of time and money on modern gasoline DI engines IMO. Last edited by MBRedux; 01-13-2012 at 11:58 PM. I agree - Catch cans are a WOFTAM. The only time I have seen one work was on a very worn M111 where blowby was excessive & the Benz separator could not keep up with all the oil in the inlet system. The corrective action should have been an engine rebuild. I mentioned them at the top of the thread, but you reminded me that something else was also done to stop this build-up on the MS6 by owners, I'll take a look. Sorry to mislead with a "simple" fix. Was it a turbo'd Cayenne ? I think turbo's have a bigger problem, mainly due to much higher pressures in the exhaust port ( like 1.5 to 2X ) due to oem sizing of the turbo. Thus when overlap and high boost occurs at lower rpms, this high pressure differential really pushes the exh gas back into the intake port ... bad for EGR and CC vapors entering through the intahke port. It could be that the C350 has less issues vs the C250. For the C250, any way a methanol injection kit (preferably @ port style) could be used with a detergent product like yours, or Techtron/Redline/stp products ? Is that the current V8 or the original V6 turbo ? Yes, I do believe that the timing overlap you speak of can make things worse due to the reasons stated. But there's only one true reason why these DI engines from VW, Audi, BMW etc. are failing so soon in their lifespan, and that is POOR Engineering... careless, profit driven, corner cutting, bean counting corporate fools... These companies have finally seen the light because of forums like these. VW/Audi/Porsche engineers have finally gotten their act together and have come up with a fix for 2014. Let's hope Mercedes was smarter than that. Sorry, I should have been more descriptive. That's the original RS4 FSI-V6 I believe. It's an old post from a very upset owner...It was a brand new car when he picked it up, but then when it started losing power and idling rough he discovered the horror seen above... There are dozens and dozens of similar posts all over the internet. Last edited by MBRedux; 01-14-2012 at 09:21 PM. I can't sufficiently stress how much fuel quality has to do with this problem other than the oil. With EGR recirc to improve NOx emissions plus captive breathers etc. The asphaltines & other goo that fouls the inlet walls is mainly from the fuel. The hard crap on valve tulips is mainly from VI improver. Countries like the US, SA & many parts of Asia are in a catch 22 (Australia has already upgraded refineries). Manufacturers run up to 30% EGR to reduce NOx emissions & captive breathers. Poor fuel thus contributes to fouling the inlet systems. We all want low emissions but with high sulphur fuel can't run the latest 3 way Cats either or we produce benzenes at the tailpipe. More & more these markets, if they want nice green Euro engines that run EGR & the best Cats, are going to have to upgrade their refineries to produce cleaner fuels & accept that these fuels will cost more. The option will be that OEMs will sell older technology engines to these markets or have to modify their latest designs for these markets thus undoing some of the benefits of the new technologies. SA will only be Euro 4 in 12 months time. Heaven knows when we will see Euro 5. The US has not really started working on it's refineries other than some sulphur reduction. The future of decent technology combustion engines revolves around better fuels. The Ultra lean-burn capability on the M271 Evo Turbo engine is turned off for markets like US, SA, Malaysia etc. They can achieve even better mileage but not on our crap fuel. Going above stoichiometric sometimes makes depositing even worse however. The product we tested with Benz was a version of Techron. Please understand that I'm on this forum in my private capacity. I support no one oil company which is obvious from my posts. I suppose you could cobble up a port injection system if the Benz engines start giving trouble but it would have to be in a way that did not disturb mixture control. Last edited by Glyn M Ruck; 01-15-2012 at 08:44 AM. Would running with lower ash oils also help ? PSA and Renault service fill.